After agricultural science developed in Germany, the concept of agricultural universities began to spread around the world. Several opened in America in the late 19th century. In the Russian Empire, the founding of the Petrovskaya Agricultural Academy in 1865 (today, the Moscow Timiryazev Agricultural Academy) in Moscow marked the rise of such institutions in Belarus’ of the world. Traditionally, the purpose of such institutes has been to raise the technological level of the agricultural sector of the country that hosts them. This was certainly the goal when the Belarusian State Agrarian Technical University (BSATU) was founded. However, such institutions have since been found to be excellent organizations for sharing and improving agricultural knowledge, and he presence of international students is widely regarded as a benefit. As such, BSATU offers an excellent opportunity for those interested in agronomy and related fields of study to experience the former Soviet country of Belarus, learn more about its farming traditions, and study its understanding on how best to feed people. In March 1953, Nikita Khrushchev succeeded Soviet premier Joseph Stalin. After a year of transition, and possibly as a result of Khrushchev’s initiative to send agricultural students to study outside of big cities like Moscow, the Communist Party of the Byelorussian Soviet Socialist Republic ordered in 1954 the creation of the Byelorussian Institute of Mechanization and Electrification of Agriculture (BIMESKh). The Party appointed Victor Pavlovich Suslov, Ph.D., a scientist who specialized in the field of organization and use of technology, as its first director. After the first year of studies, the Faculty of Agricultural Mechanization became the first to form, with Associate Professor Alexander Larionov, Ph.D. taking on the role of dean. This faculty soon became the center of the institute, which renamed itself the Byelorussian Institute of Agricultural Mechanization (BIMSKh). A Faculty of Electrification of Agriculture was formed shortly after. 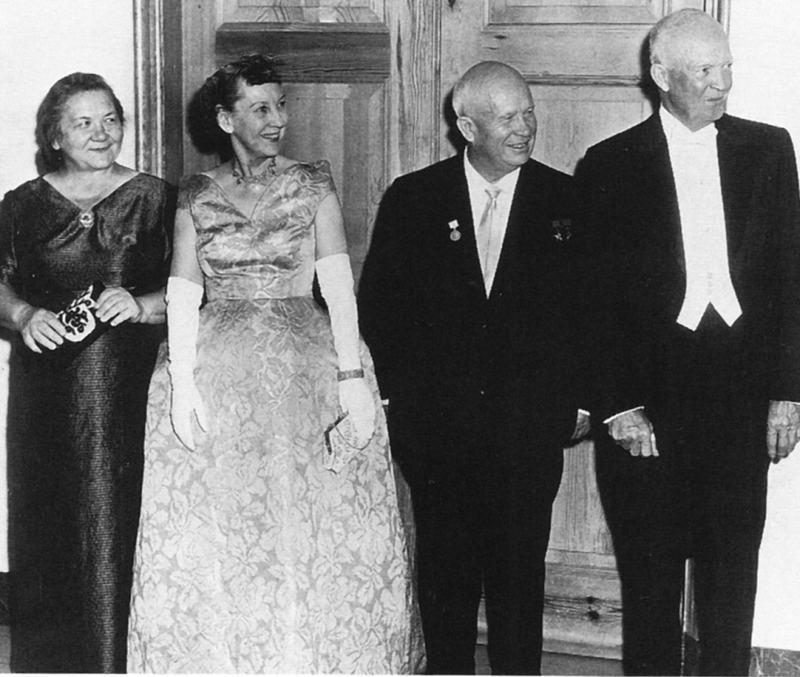 In 1959, following Khrushchev’s visit to the University of Iowa, in part to review how Americans conduct agricultural education, Dmitry Gorin, Ph.D., succeeded Larionov as director. Under Gorin, the first foreign students were admitted to BIMSKh in 1963. Additional faculties in social sciences and repair of agricultural machinery soon followed. When in 1968, Sergey Silitsky, Ph.D., took on the role of Rector of BIMSKh, he quickly reorganized studies to concentrate on five specializations: field agricultural mechanization, livestock agricultural mechanization, use of electricity in agriculture, agricultural electrification (focused on installation), and agricultural machinery repair. By the school’s 20th anniversary, it had acquired a main building, near today’s Park Chaliuskintsau Metro Station, two buildings for instruction and laboratories, seven dormitories, a training and repair shop, a 500-seat dining facility, a garage, and a gym. In 1977, Valery Skotnikov, Ph.D., succeeded Silitsky as Rector, and under his watch the school experimented in teaching agricultural engineering. In his last year, 1987, Soviet Premier Mikhail Gorbachev presented the school with the Red Banner award. In 1988, Leonid Garasimov, Ph.D., succeeded Skotnikov, and oversaw the school during its post-Soviet transitional period. In the year after independence, 1992, Gerasimov witnessed the institute change its name for the second time to the Belarusian Agrarian Technical University. 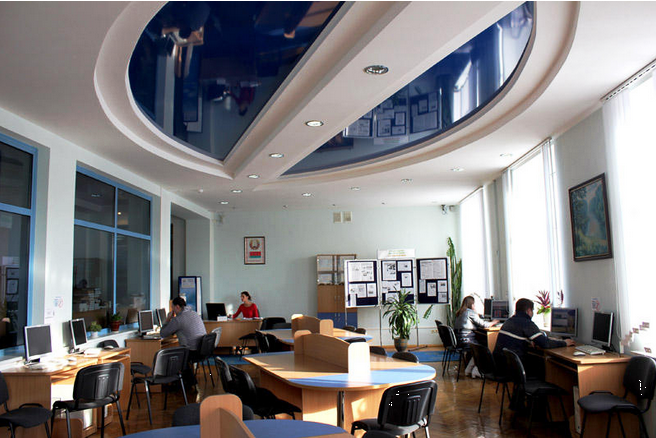 In order to meet the needs of the post-Soviet school of higher learning, the university opened a preparatory school faculty in 1994. By 1996, it formed a faculty for business and management. When in 2000 the school adopted the word “State” to its name, rendering it to the name it is known by today, the Belarusian State Agrarian Technical University (BSATU), four new faculties had been created: Mechanics and Technology, Agroenergy, Humanities and the Environment, and Technical Services in Agriculture. One additional department, the Faculty of Advanced Training and Retraining, was added in 2002. 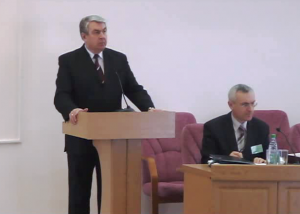 In 2003, Nikolai Kazarovets assumed leadership of Belarus’ leading agricultural university. He oversaw the 50th anniversary festivities of the school in 2004, and pushed the institution toward greater international cooperation, particularly in 2007, when it joined the European Business Association as a social corporation. 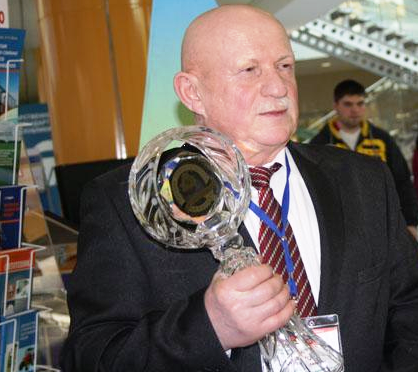 It was recognized that same year as a “Best Enterprise in Europe” for remaining innovative, competitive, and a promising, leading educational institution in Belarus. In the same year, the Agroengineer professional association was founded at the university, and has since become the main professional organization for agricultural technology developers. In 2008, BSATU was awarded its Golden Quality Certificate by the 4th International Assembly for Quality in Moscow. In the past several years, the university took on the trappings of a modern agricultural institution. Its Engineering and Technology Faculty formed in 2011, as did its Research Institute for Mechanization and Electrification of Agriculture (housed in a new facility the following year). In 2012, the university incorporated high-tech solutions to improve its quality management, a major achievement in continual improvement carried out under its ISO 9001:2009 quality management standard certification, achieved two years earlier. By the end of that year, Rector Kazarovets was promoted to the Standing Committee on Education, Science, Culture, and Social Development overseen by the National Assembly, Belarus’ legislative body. A couple months later, Belarusian President Alexander Lukashenko appointed Professor Ivan Shyla as the present Rector of BSATU. Kazarovets soon became chair of the Standing Committee, a position he holds today (2014). Within a month of his arrival, in March 2013, the university had achieved the honor of being one of 15 enterprises across the country to be awarded for its achievements in the field of quality management. Among these, BSATU was the only educational institution. Today in its 60th year, BSATU considers itself a “multi-disciplinary teaching and research center.” It maintains 27 departments and 42 chairs within the following eight faculties: Agromechanical, Agro-power (electrical), Engineering and Technology, Business and Management, Farm Machinery Service, Electrification, and Mechanization. Its research institutions contribute to the innovation of the nation’s factories. Again, it is the only Belarusian educational institution recognized for its adherence to international quality management standards. A total of 15,000 students are educated at the university. Among the foreign student community are applicants from such countries as China, Azerbaijan, Lithuania, Nigeria, and of course the various Commonwealth of Independent States member nations. The university collaborates with some 60 universities and education organizations, mostly across Europe and Asia. BSATU plays host to a number of international conferences and seminars that have included leading agricultural companies from the United States, Germany, Poland, Russia, and Ukraine, among others. The university provides (at cost) all foreign students with housing while studying, and its facilities house a modern agricultural library, a café, a canteen, medical support facilities, and a sports complex. Students who apply and are initially accepted as students, but who fail to meet Russian language requirements, may take language preparation courses under the university’s auspices. Total study time for undergraduate students is between 4 and 5 years. Graduate coursework and internships can also be arranged. Special among the many opportunities for extracurricular growth offered to students is participation in the International Association of Students in Agricultural and related Sciences (IAAS), a Belgian-based international agricultural student society. The IAAS on the BSATU campus organizes seminars, provides opportunities to take part in work camps and obtain field knowledge in agronomy studies, and orchestrates exchange weeks and other international exchange programs toward the goal of sharing knowledge and ideas among agricultural students. Most dorm-living students who are from Belarus spend the week in Minsk, but then return home to parents on weekends. As a result, getting on a train to the countryside on Fridays can be a challenge for most travelers. But making friends with one such weekend commuters can lead a foreign student to learn a great deal about Belarusian living, should that person invite the foreigner to his or her home. Undergraduate courses at BSATU are open to applicants with a general secondary, vocational secondary, or general vocational education that can be shown through the presentation of a corresponding education certificate (diploma, etc.). Post-graduate admissions are a little more complicated, but require at minimum an appropriate undergraduate degree. All foreign students, even stateless persons, are required to present some form of identification documentation (like a passport) when first applying. Upon arrival at the university, and indeed upon arrival in the country, students will have to show that they have the appropriate visa within their passports and compulsory medical insurance. The visa is obtained after first requesting from the Department of International Relations at BSATU an invitation to study. This is done on completion of all necessary paperwork requested by the department. The student will be required to obtain a medical checkup report and a certificate indicating an absence of HIV within six months of departure. This will need to be presented prior to admittance. A further health check will nonetheless be required after arrival in Belarus within the five business day period before registering with a specified police station’s “pasportny stol” as a resident student. The registration will be assisted by the Department of International Relations, who will also assist with insurance, if still needed, tuition (about 2,300 USD for full-time students in 2014-2015) and with arranging full payment for and moving into accommodations for the duration of stay at the university. Students will share either a 2- or 3-person room in the university dormitories. Additionally, the student must submit six photos of 3 x 4 cm size, a notarized translation and original of the student’s birth certificate, and any documentation of having studied Russian to a level where attending courses given in that language is not a barrier to understanding. 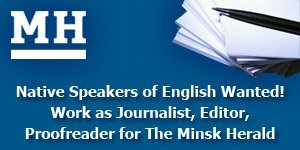 Foreigners that don’t speak Russian may still enroll on the condition that they contract and take a year of preparatory language courses at the institute before further coursework. Preparatory courses at BSATU are geared toward the declared specialty of the student, focusing on vocabulary that will be important in that particular field of study. Once the coursework is completed, generally after one year of study, a certificate is issued that in reality can be used for entry at any institute of higher learning within Belarus. However, given that preparatory courses are generally focused on improving comprehension and communication abilities within a singular declared specialty, it is generally advantageous to study preparatory Russian at the university within which the student intends to study. Those that do have the appropriate level of Russian but lack documentation of coursework taken elsewhere may carry out an interview with a review officer, who will determine if the applicant’s level of Russian is suitable for study. Of course, all BSATU courses outside of the preparatory coursework are in Russian. Once the student has demonstrated proof of a level of Russian sufficient for actual studies, as verified by the Admission Committee, a contract will be prepared and signed. This contract will then be presented to the Rector, who will issue an order for instruction to begin. Deadlines for admission are typically in the fall for studies in the coming year. The submission deadline for admission applications covering full-time undergraduate students is on Oct. 15. The submission deadline for students who know they will need to take preparatory language courses is on Nov. 1. The submission deadline for distance education students taking undergraduate courses is on Dec. 1. For graduate students, there is no specific submission deadline, but applicants should provide a reasonable lead time between submission and intended start of studies. I’m well-traveled, having been to 42 countries on four continents, but I’ve been attracted to this area of the world for over two decades. My wife and kids are from here, so I prefer to record the positive aspects of life here in Belarus, along with important events.